Great news: Spring is Here Sale is EXTENDED! April showers bring...SALES! Use code SPRING to save 30% off any order, 40% off 5 or more tests in your order, or 50% off 10 or more tests in your order. Hurry! This sale really will end on April 23rd. 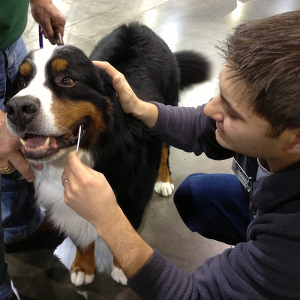 Test your dog for a single disease or a panel of genetic diseases known to affect your breed. ensuring 99.9% accurate results all within two weeks. Our user-friendly website provides the easiest ordering process and provides more features and information than any other canine genetic testing laboratory. Customer service is one of our top priorities. Call or email us during business hours and you will always reach someone who can help. Geneticists and veterinarians are available to speak with you before, during, and after you get your results. Our veterinarians and PhD geneticists have used the published medical literature to inform you of the proper tests for your breed. 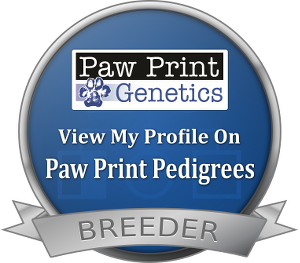 Paw Print Pedigrees allows breeders to show the world that they care about the genetic health of their dogs and that they screen for known diseases. 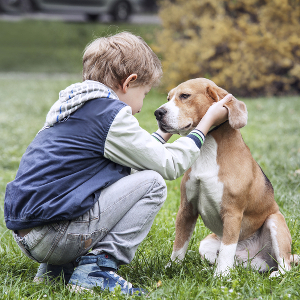 It allows puppy buyers to find responsible breeders that perform genetic testing and helps you find like-minded breeders who care about the genetic health of their dogs. Very pleased with Paw Print Genetics in both the quality and experience of the staff and founders, as well as their sound methodology and best practices in DNA testing and profiling for animals. 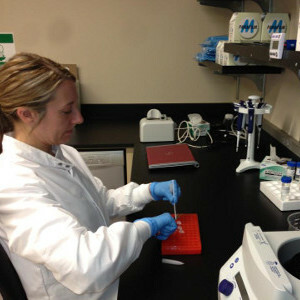 I have tried several other laboratories providing the same services, and Paw Print Genetics has the most accessible staff, easy to read and understand results, and excellent pricing. I have never received such awesome service from friendly professional people!!!! I will never use another genetic testing service, these guys are THE BEST!!! I got my tests back with lightning speed. I was really hoping to see someday a place for one stop for the major genetic tests for my breed and I think you have accomplished that. I think your prices are reasonable and service wonderful and clear and easy to follow every part of the process from ordering the tests, getting the samples and reading the reports. I just got the test results for the 8 tests ordered for my dog. It was remarkable how fast and trouble-free the whole process was! PPG's website is easy to navigate, and everyone was so helpful, whether in email or by phone. Thank you PPG. Customer service is AWESOME! FAST results, DM results back 2 weeks before [the other lab]. LOVE the online account for printing off certs when needed vs onetime piece of paper from OFA. Love the shipping taken care of, just drop in mail after collecting samples. Love everything about this company and where they are going! Everyone is so nice and professional! Quality testing and great turn-around! Extremely easy and quick process. We were kept in the loop the entire process. Even after we got our results back they made sure we were able understand the results and they ensured we were happy customers. I would recommend Paw Print to anyone looking to make sure their pet is healthy. I couldn't be more impressed with a DNA lab than Paw Print Genetics! I recently just discovered them and did my first DNA testing with them on a couple of breeding prospect puppies. They got my results in a timely manner, and when I had questions about them, Blake emailed me several times and explained things in detail in layman's terms so I could understand completely my results! I highly recommend this company for DNA testing on breeding dogs. Great job guys, and I salute you, Blake! Thanks for all of your help!